The Toronto Blue Jays traded ambidextrous relief pitcher Pat Venditte to the Seattle Mariners on Saturday for a player to be named later. Venditte appeared in eight games for the Blue Jays this season, posting a 5.19 earned-run average through 8 2/3 innings. The 31-year-old pitched 35 innings in 25 games — including two starts — with triple-A Buffalo, where he posted a 2-1 record with a 4.37 ERA. 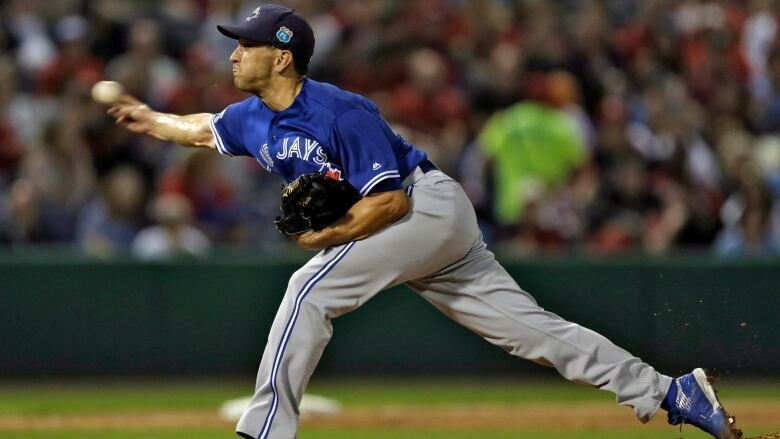 Toronto claimed Venditte off waivers from the Oakland Athletics during the off-season. It's the second trade the Blue Jays have made with Seattle in as many weeks. They acquired reliever Joaquin Benoit in exchange for reliever Drew Storen on July 26.